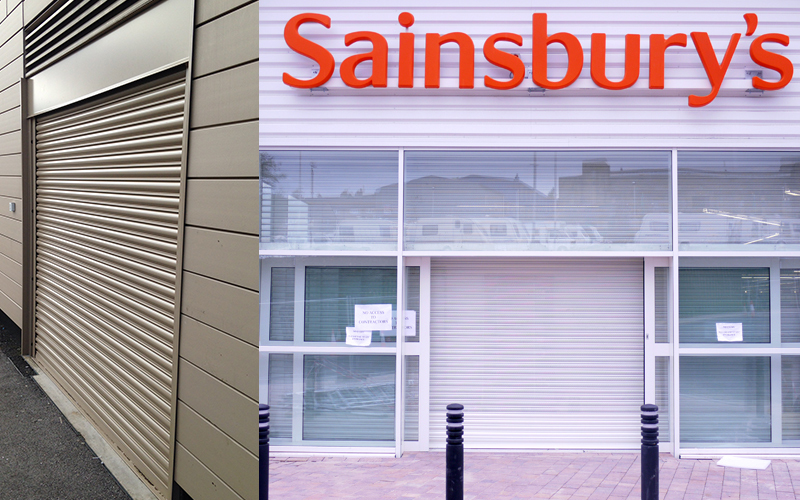 RCS manufacture a wide array of commercial shutter options and understand that when it comes to a commercial property, a roller shutter serves a multi-functional purpose. 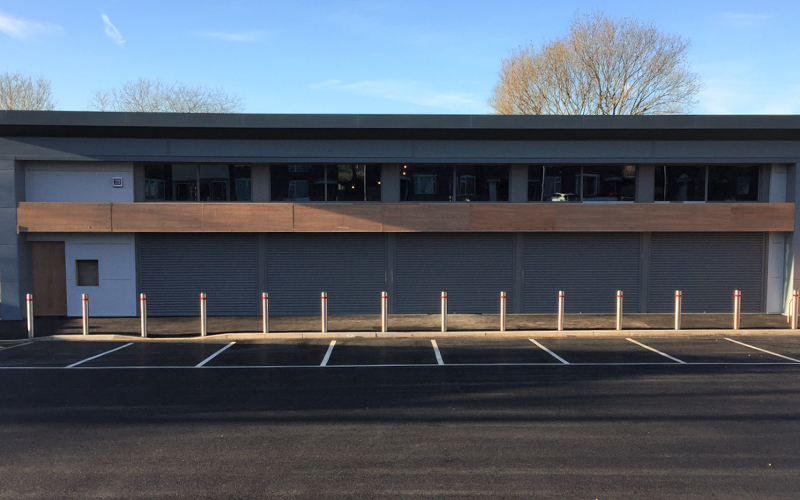 RCS promises not to deter from the security features of the product whilst maintaining the aesthetic appeal of the property. Each door is manufactured using high quality materials, with easy installation at the forefront of the design. 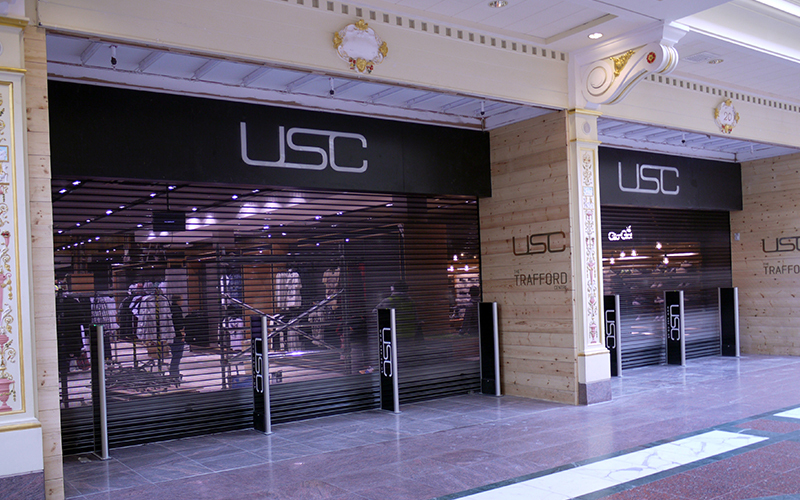 Sc doors are available in a galvanised, plastisol curtain and powder coating finish. Sc doors have various options for opening and closing your door including smartphone and key pad operation. 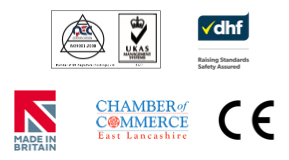 Call one of our advisors to find out more about motor manufacturer options, operation preferences and further safety specifications for an Sc door. 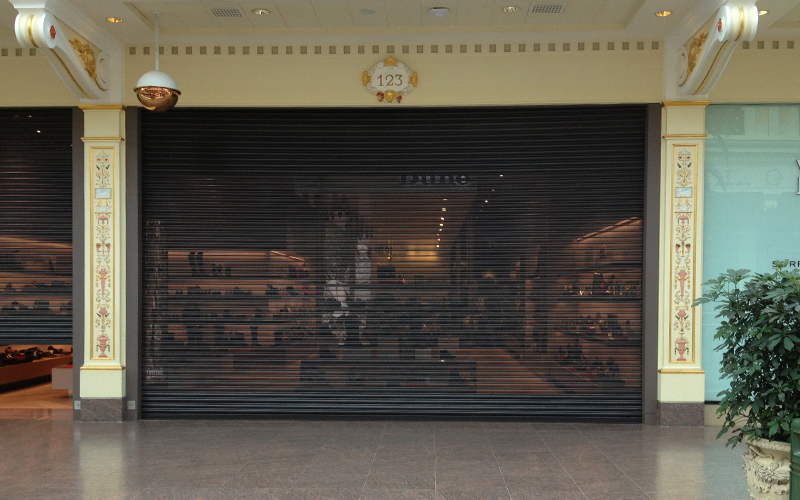 A basic, stereotypical commercial roller shutter. It offers zero visibility and acts as a visual deterrent for intruders. *An insulated lath option is also available under this door type. Benefits of this feature include heat retention and reduced energy costs. This year, RCS have rolled this option out across more products than ever before – read more about insulated doors here. 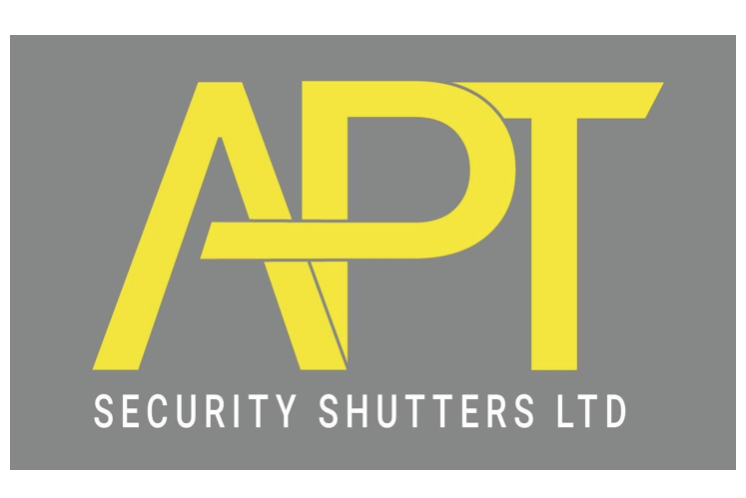 A perforated roller shutter comes with 3mm holes pierced across the face of the lath. This feature enables passers-by to see into the premises, increasing visual appeal. 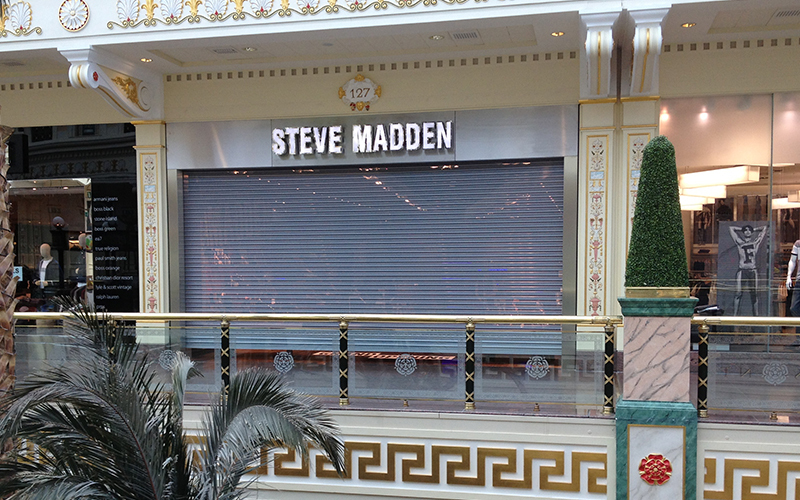 There is complete flexibility to customize the number and order of perforated lath on each shutter. This option has 152mm x 25mm punched windows across the face of solid lath in either a brick-bond pattern or in-line. Law dictates that if this door is fitted externally it requires two photocells1, but is ideally fitted on the inside of a unit or behind glass. These grills are most commonly fitted on to retail property; they allow full vision into the premises so that product promotion and advertising is not limited to hours of trade. Tube and links are knitted on to aluminium rods in a brick-bond pattern. It creates 225mm x 65mm windows and likewise to the brick-bond punched option, requires by law to be fitted with two photocells1 if fitted on the outside of a property. Photocells detect movement or presence in the door area, which will prevent the door from closing. Call to find out more about photocell laws and legislations and further safety specifications. 1Photocells detect movement or presence in the door area, which will prevent the door from closing. Call to find out more about photocell laws and legislations and further safety specifications. Each Sc1 option is also available as a push up door providing the door does not exceed 2 x 2m.